Thought Donald Trump becoming President of the United States of America was the weirdest, most bizarre thing to ever happen in a civilised democracy? 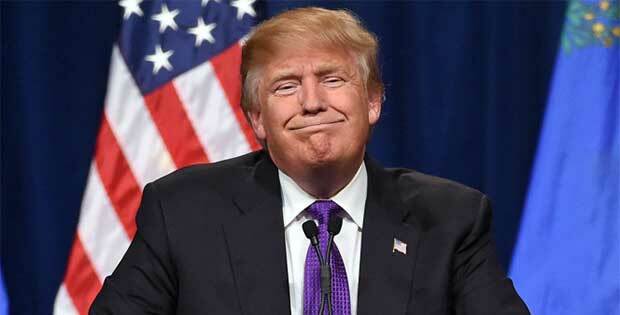 But, Trump’s presidency inspired us to look at the politicians born from the sporting world. In our research, we found that the fame, popularity and influence that comes from sport certainly has an affect on a certain few athletes that tried their hand at representing more than just a sporting jersey. These are the sporting stars from Australia and right around the world who succeeded and failed as politicians. KJ was the man who made things tick in Phoenix during the early 1990s when Charles Barkley came to town. A bona fide superstar, Johnson was the second best player on the second best team in the NBA in 1993, when the Suns lost to Michael Jordan’s Chicago Bulls on the way to their first three-peat. Tough, skilled and uncompromising, Johnson produced some of the best dunks you will see from a little guy and was a scoring machine at his peak who also knew how to share the ball. He still holds the Sun’s franchise record for assists, free throws made, and free throws attempted. He did not fade to obscurity once his career was over, becoming the first African-American to be elected Mayor of Sacramento. His most notable claim to fame is his move to ensure the Sacramento Kings did not skip town, but he has been vocal in tackling homelessness and gang violence in his province. Some would say there is a blurry line, but the former Mr Universe and Mr Olympia once had one of the finest bodies in human history. An absolute monster, he brought body building into the mainstream with the movie Pumping Iron. Of course, we know him as an action movie megastar from such roles as Conan the Barbarian, Predator and the Terminator saga. He went from Mr Olympia, to movies to the Governator, becoming the head honcho in California. Sometimes it sounded like he was calling himself the Gummy Bear of Candicornia, but no one really cared. He won the 2003 recall election by over one million votes, repeated the dose in 2006, but then every one decided they hated him and he left office . He ended up winning another term in 2006, but his approval rating was in the 20s when he left office 2011 as the people turned on him. A big believer in global warming, under his watch, California passed the first greenhouse emissions cap in the country. A dual sport star, Nova Perris was the first Aboriginal Australian to win an Olympic gold medal when she was part of the Hockeyroos side that took out the title in Atlanta in 1996. She was the Young Australian of the Year in 1997 and would go on to win gold at the Commonwealth games in the 200m and the 4 x 100m relay, ending a decorated career in the sporting limelight. She would trade that for the backbench when she became the first Aboriginal woman elected to Federal Parliament in 2013. Her term ended at the last election, but she was and continues to be a great crusader for the Indigenous community. Who would have thought big, dopey Harry Madden would end up in the political field. One of the lasting memories of the towering Madden was his head resting on the shoulder of fellow ruckmen at the boundary throw ins. The Carlton champ played 332 games and won two AFL premierships and, at 206 centimetres, he would tower over his opponents. He would tower over his political opponents too. Elected as a Labor MP in 1999 and, while fighting controversy, enjoying a 15 year political career. 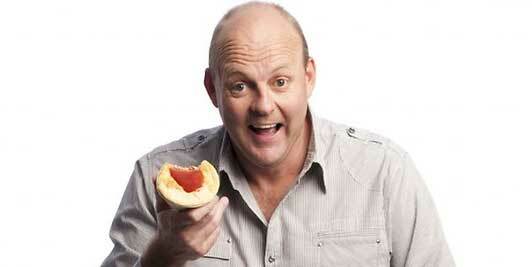 Every one knows Billy Brownless as the moronic, yet loveable larrikin from the AFL Footy Show and morning radio. But not so many remember what a fantastic footballer he was. There were days when he would shade Gary Ablett Snr as part of a remarkable three pronged attack with Barry Stoneham. A great goal kicker and someone who appears to be a great bloke, former Victorian Premier Jeff Kennett had the idea of turning him into a politician. If you watch the Footy Show, you would know how the meeting with Kennett turned out. They’ve played the clip over an over again of Bownless being ambushed by waiting media and being completely bamboozled by their questions. Safe to say, this was one of the shortest political careers of any one, any where. Speaking of short political careers, this one takes the cake. A former Rugby League star who is revered in his code, Meninga led the Queensland Maroons to seven straight State of Origin series wins. While he had a long and fruitful league career, the same could not be said for his political turn. It lasted all of 28 seconds, before he quit live on radio. The questions were not even curly, but a harsh dose of reality descended on Meninga as, half way through his answer, he simply said “I’m buggered” and cruised off the set, never to be seen in the political arena again. Of course, he would go on to jobs that still involve plenty of politics – that of the coach of the Maroons, and then the Australian Kangaroos. One of Australia’s greatest Olympians, Dawn Fraser won an amazing eight medals in the pool, including four gold medals, holding 39 records along the way. She was no stranger to politics, suspended by the Australian Swimming Union for 10 years after being accused of stealing an Olympic flag at the 1964 games in Tokyo and angering officials with various actions. That was overturned, but she would never swim at the olympics again and that left an opening for her to enter politics. She was elected to the seat of Balmain in 1988, but it was abolished in 1991 and she failed in her bid to claim the new seat of Port Jackson. One of the greatest cricket all-rounders of all-time, Imran Khan is just as good in the political field. The Pakistani legend was a leader of men in his time, making nearly 4000 Test runs and claiming 362 wickets in a decorated career, leading his nation to World Cup glory and dominance in the field. He is the current Chairman of Pakistan Tehreek-e-Insaf party in his home nation. A British athletics hero, Sebastian Coe is a revered name in England, having claimed a pair of gold and pair of silver medals at Olympics in Moscow in 1980 and Los Angeles in 1984. Coe would go on to be one of the most influential men in politics as an MP in the early 1990s, before becoming chief of staff to the leader of the opposition. He is now the President of the International Association of Athletics Federations. Perhaps the most loved person in the Philippines, Manny Pacquiao has enjoyed a spectacular boxing career that still continues to this day. One of the few politicians who has continued in their professional sport. Known variously as Pac Man, The Destroyer, The Mexicutioner, The Filipino Slugger and The Nation’s Fist, Pacquiao has a fearsome repertoire of nicknames to go with his political job in the Philippine House of Representatives. Much loved, much revered, much feared. BettingSite.com.au is your no.1 guide to Australian sports betting and the online bookmakers associated with it. Read the latest sports betting news and sports betting tips at the click of a button.